Not unlike arranging a wedding, buying a property is actually a particularly large and complex project management task. It involves taking things step by step, in the right order, to minimise the time spent and get things sorted out as efficiently and cost-effectively as possible. So what are the logical steps we all need to take the make the best possible job of it? 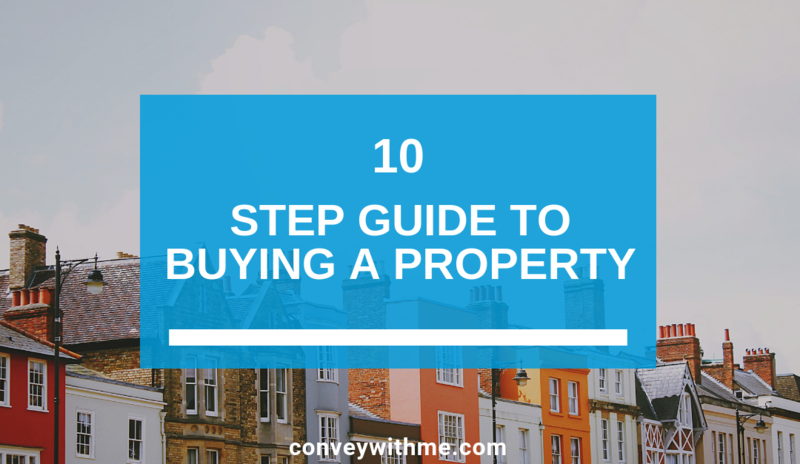 Here’s our ten step first time buyers guide to property purchase. One – Know your budget. It makes a lot of sense to figure out exactly what you can spend before you go looking. See a good mortgage broker at the earliest opportunity and find out where you stand. Two – Create a checklist. You know you want three bedrooms. You’d like a garden, ideally front and back. You don’t want a terraced place, you want somewhere semi-detached or detached. You’re keener on a big kitchen than you are on big bedrooms. Your third bedroom needs to be a decent size, not just a box room. You want to be near a school. Most of us have a wish-list, and once you’ve formalised it in writing it’ll act as a handy memory aid. It’ll also help stop you going badly off-piste in a fit of misplaced enthusiasm! Three – Set your mortgage up in readiness. You could wait until you’ve found the perfect place to buy. But it can take a while for a mortgage offer to come through and longer for it to be confirmed. It’s sensible to get a mortgage Agreement In Principle before you go looking for somewhere to buy. It’ll be based on your credit score and finances, which the broker will take to market on your behalf to find the best deal. Four – Find somewhere you love. The internet makes it easy. Most good estate agents include photos of the inside as well as the outside, and many provide video content. And that means there’s no need to go chasing around the country to view every place that looks reasonably suitable. Instead you can create a priority list of properties you like without leaving the house, only actually viewing those you know for sure are worth looking at, and only using an estate agent’s services to help you make the final decision. Five – Make your offer. Once you’ve got an Agreement In Principle you’re free to make offers on properties. Once your offer has been accepted, your mortgage broker will help you fill in a Full Mortgage Application. Six – Get legal support. You’ll need a solicitor who specialises in conveyancing to handle the legal paperwork. This can be time consuming and so we recommend you use a conveyancing team who focus on communication, customer service and quick delivery. A member of our team at Convey with Me can help arrange this for you. Seven – Get a RICS survey. If you’re buying a brand new home a comprehensive survey isn’t always necessary. But if it’s old, or in less than perfect condition, you need an in depth survey to identify any issues before you make the final decision. We recommend you consider a RICS Homebuyer Survey. Your lender will carry out a basic survey, since it’s their money you’re risking. Eight – Your mortgage offer. Assuming everything is in order your lender will send you an official mortgage offer. Remember, you’re not bound by its terms until you actually sign the mortgage deed and the loan money is released. Nine – Get insurance. You’ll want to insure your new home and its contents. Check who is insuring it during the time between you making an offer and the time you move in, especially if the property is empty. You don’t want to leave it unprotected. You might also want to get quotes for critical illness and mortgage payment protection insurance. Ten – The final bits and bobs. Your solicitor agrees a completion date, you will need to be present in order to signed contracts for exchange and completion. Your solicitor manages the transfer of funds, registers the sale and ensures you pay the associated fees, including any Stamp Duty. And once that’s all boxed off, you can move in. Huge congratulations – you did it!